We are coming to Myoko Kogen on the 6th jan for a week of boarding (yeeehaw!) & because we didnt want to lug our stuff in from overseas we have left it behind & are hoping some decent things can be hired.. Does anyone know if there is a good hire place for snowboarding gear in or near Myoko..? Or should we be bringing it from Tokyo, for either a better price, or better condition & standard of gear? Plenty of places OBD. 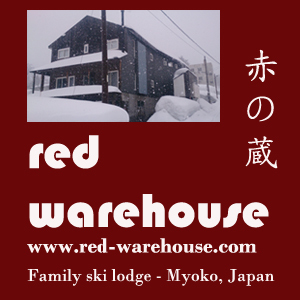 The most popular one for foreign visitors is Myoko Snowsports - http://myokosnowsports.com. They have an online booking form to have everything ready for you when you arrive. Let them know Nic said to get in touch with them. Welcome BTW. Big snows forecast for the next couple of days so should be looking good when you arrive.